Liquid Telecom has announced that it will be providing free WiFi during this year’s Rhino Charge, East Africa’s most challenging motor sport event that is held each Madaraka Day. The Rhino Charge which is now in its 27th year will for the first time ever give competitors, spectators and organizers the chance to upload live content and images from one of Africa’s best known extreme sports. At the announcement of the event’s location on 28th May, Liquid Telecom says a team of about 20 Liquid Telecom staff were immediately deployed to build operate and maintain a WiFi network across 10 checkpoints and Rhino Charge headquarters. 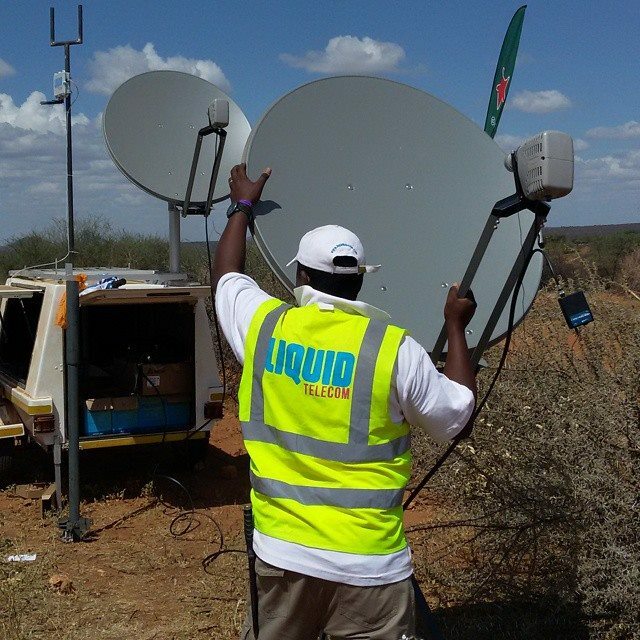 “We are connecting a total of 10 sites via VSAT uplink, meaning spectators will be able to upload photos and videos, footage will be shared across the world, and race information shared with organizers, participants and spectators,” Ben Roberts, Chief Executive officer, Liquid Telecom Kenya said. The motor sport community will additionally be able to access the Internet and share content to the web via a 10Mbps satellite connection at the event headquarters, the competitors’ camp and the main spectator area. The company says its support of the Rhino Charge comes as part of its commitment to transforming the motorsport experience in Kenya and Africa by adding value, enabling accessibility and inclusion of the growing motor sports community through the use of technology. The secrecy over the location of the Rhino Charge up until the 2 days before the event makes for a challenge in ensuring connectivity. But Liquid Telecom says it will ensure that the VSAT service is consistent with its broader network and that the highest service availability is achieved. “With the Rhino Charge we are able to demonstrate the accessibility of the Liquid Telecom network in the most remote locations, even with absolutely minimal lead time, as well as enhancing global stakeholder engagement with the Rhino Charge event,” said Roberts. Through the use of weather-proof equipment that can withstand the harsh Rhino Charge environment, and is fully self-sufficient in terms of power, Liquid Telecom will provide free WiFi and allow users access to Facebook, Twitter, YouTube, Instagram, Dropbox, the Liquid Telecom and Rhino Charge Websites, and www.ianduncanrallying.com. This is in a bid to support the creation and distribution of motor sport content by all involved in the event. The 2015 Rhino Charge is expected to attract a total of 60 competitors and 5,000 on-site spectators with a keen international focus, who will all be able to view current content and images from the event. Among the competitors are rallying legend Ian Duncan, in one of the three Liquid Telecom sponsored vehicles, who has participated in 20 Rhino Charge outings. Go-Pro footage capturing the in-car action from the Liquid Telecom sponsored vehicles, as well as additional Rhino Charge content, will be uploaded online to www.ianduncanrallying.com for public viewing after the event. The 2015 Rhino Charge runs from the 30th of May to the 1st of June, 2015.